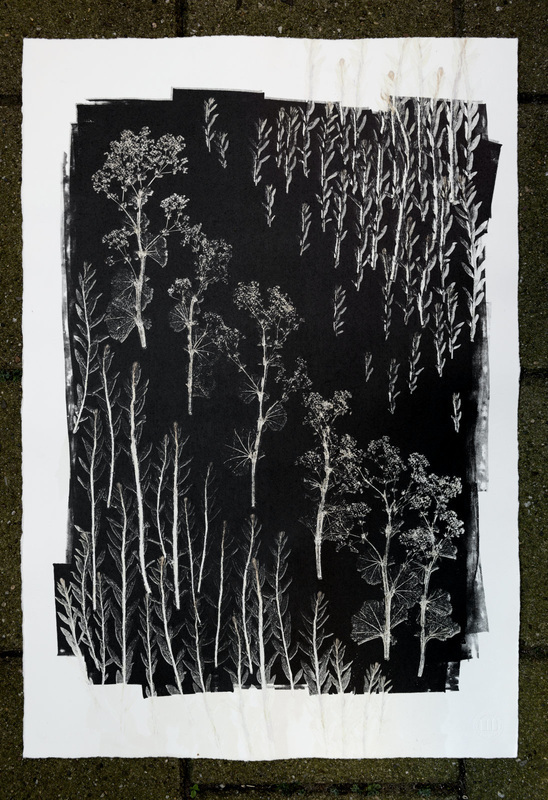 Garden is the result of the visual research made during the residency at the Frans Masereel Centrum. 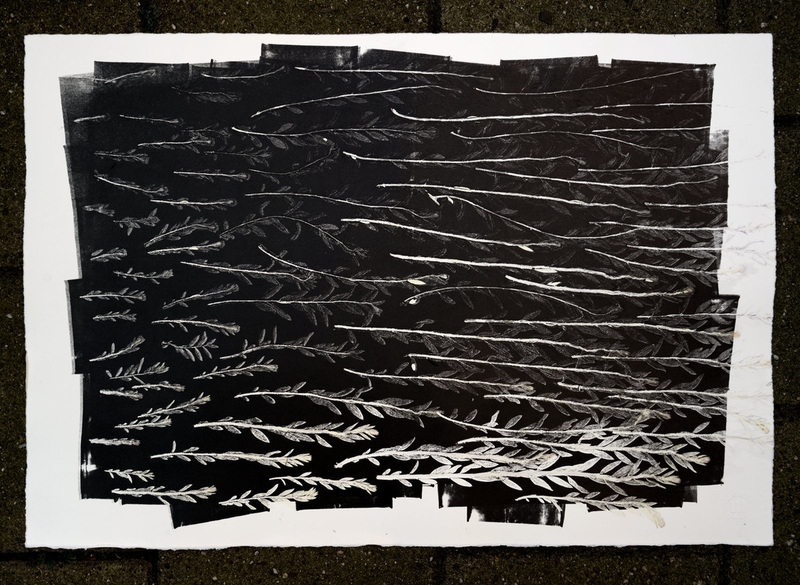 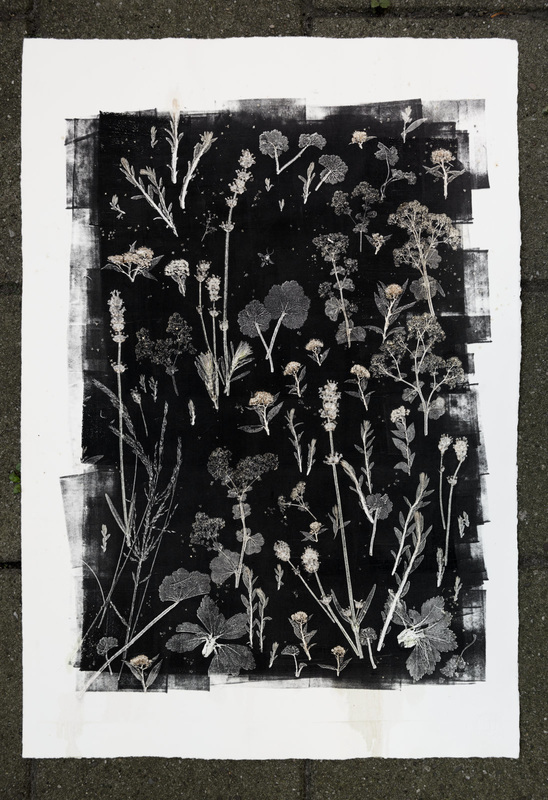 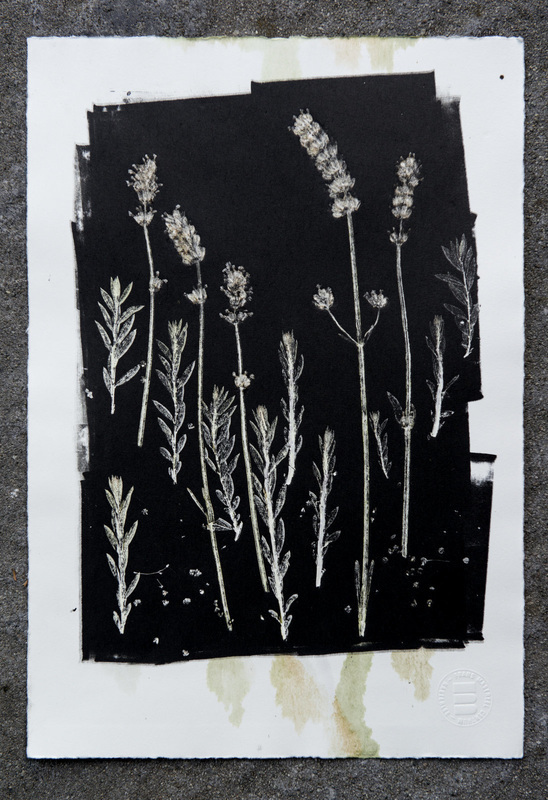 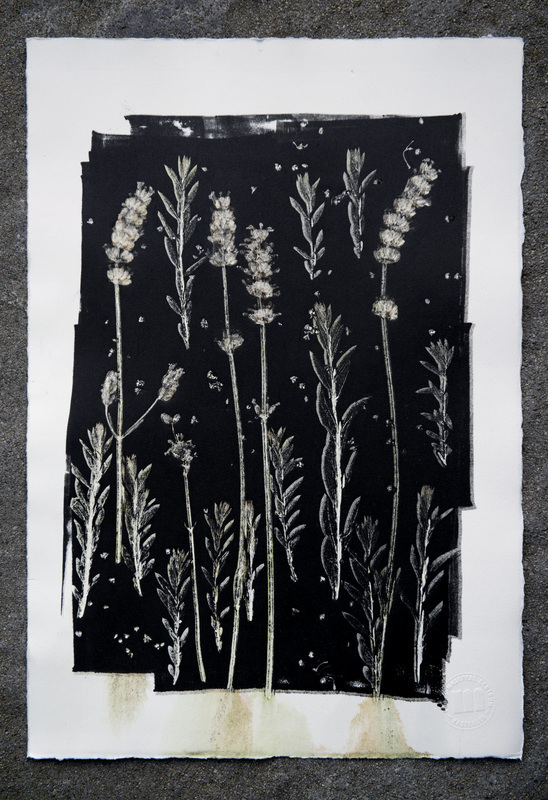 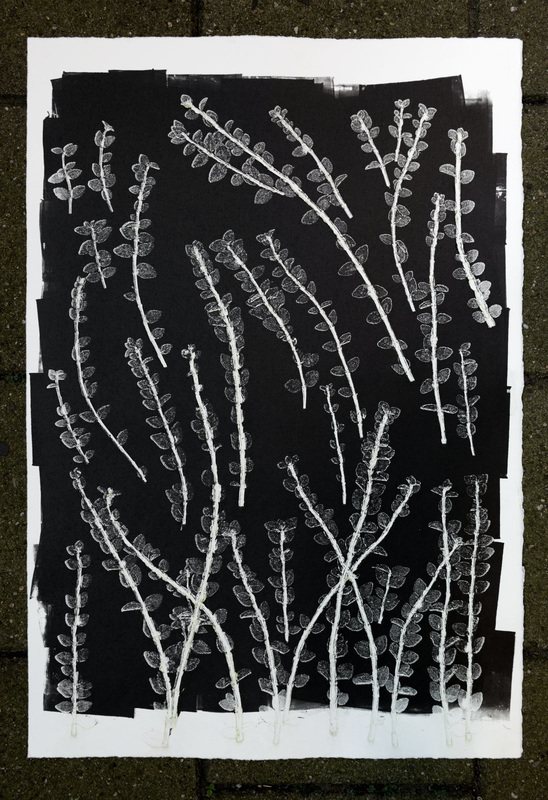 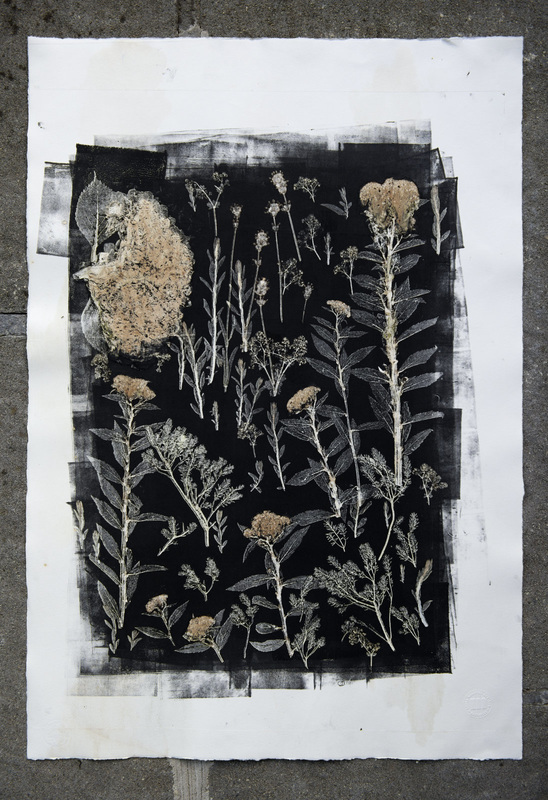 The research looks into ways of looking into three different aspects of the prints and how they interact with each other: the footprint of the plants pressed, the illustration that they create, and the action that puts these two together being made visible. 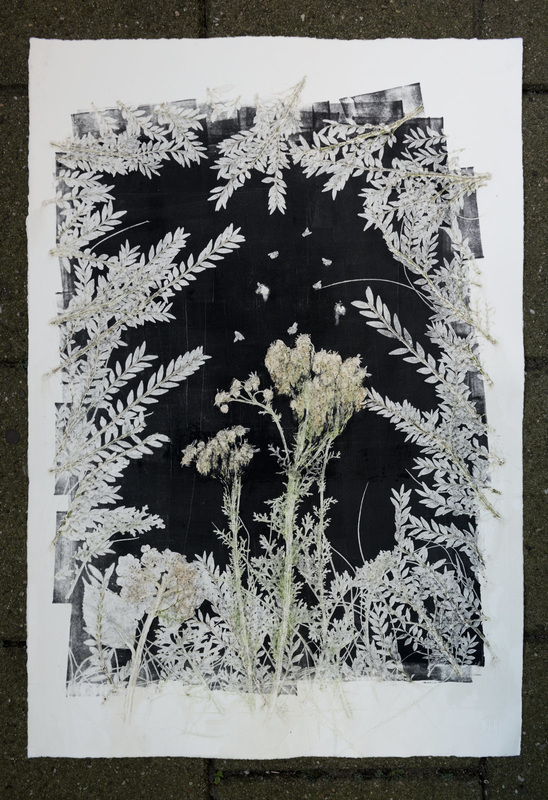 The name for these images comes from looking at the way nature was seen in biblical times, not only idealized but also with the belief that nature is there to serve man. 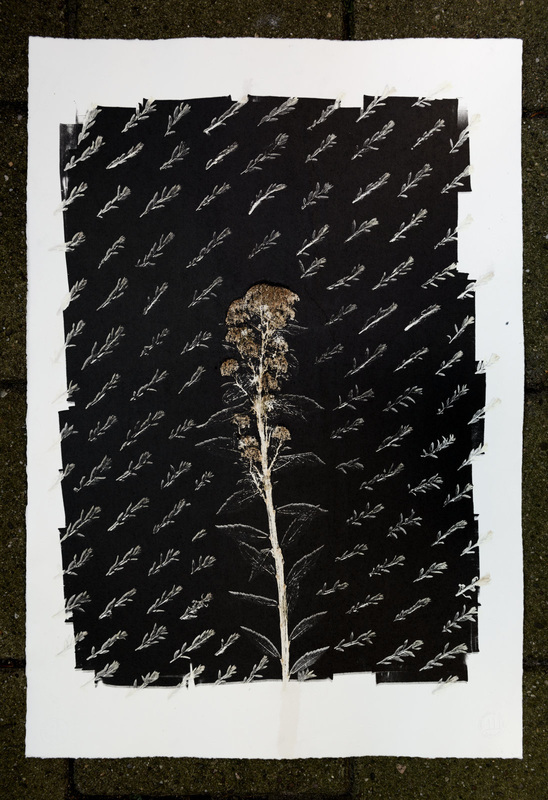 In this case nature is there to serve the creation of the image, and the artist behind it.